The site of the proposed development. 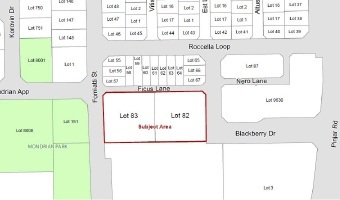 A PROPERTY developer is seeking extended planning approval for a proposed three-storey residential development in Ashby. Planning Solutions, on behalf of Ashby Rise owner Endeavour Properties, has applied to the North West Development Assessment Panel for a further two years to develop the site south of Ficus Lane. Approval for the 68-dwelling apartment was given by the panel in July 2014, which required work to have substantially commenced within two years. A report by the City of Wanneroo found that carparking requirements for multiple dwellings had increased in that time, which would create a shortfall of 26 bays from the proposal. However, it said 54 on-street bays were available 400m from the site and a bus route was within 750m. The panel will decide tomorrow whether to support the City’s recommendation to grant the two-year extension and impose an additional condition regarding waste collection.